How will we make sure our children don’t miss out on learning everything they need to know? Our answer to this is — by faith, we’re certain that they will receive the learning opportunity at the right time for them. Here’s a recent, practical example. Aisha was sitting on my lap recently. 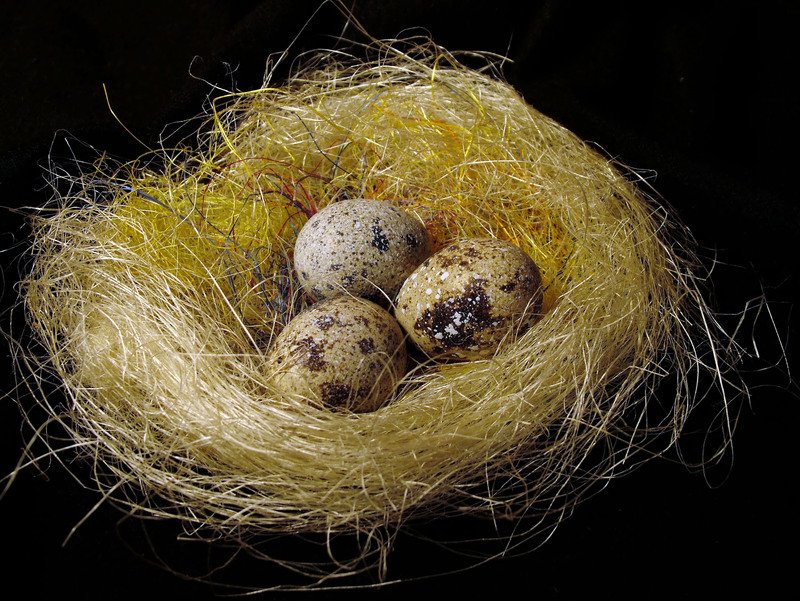 “What is a bird’s nest made of?” she asks — out of the blue. I feel triumphant by the question — surely this is a clear demonstration that although we had previously been talking about food, Aisha’s unschooled mind is ranging wider in search of truth and knowledge. In fact, I often reply something similar to requests, because I know that I can’t predict the future. So I suggest to our children that they present their requests to God because He is the one who can bring things to pass if they are good and right. Fast-forward a couple of days, and David and I are walking up a creek. I spy a nest, neatly made at eye-level on a branch overhanging the water. It’s close, accessible and — yes! exactly what Aisha was asking for. I ask David to bring our girls so they can see the nest, and I sit down to observe it and identify its maker. Soon a willy wagtail briefly returns to the nest, shy and wary of my presence. This lesson is what we asked for. This lesson is what we received. Thank you, God! He had already designed this nest when he put the desire in Aisha’s heart to learn about nests. When we have learning experiences like this, how can we doubt that our children will learn what they need to, at the right time? We don’t. And so we unschool in confidence — and in faith.